This article by Bill Ryan, first appeared in the Sentinel-Tribune newspaper. Forgive a Christian reference as the opening to the story of the fifth annual Community Interfaith Breakfast. However, it seems appropriate. For those not familiar with the passage, despite the different languages, each person was able to fully understand everything he or she heard. That message seemed loud and clear at Tuesday’s breakfast at the Junior Fair Building. The panelists represented different faiths as did the featured speakers in a video presentation made by organizers. This year’s theme was Building Peace Where There’s No Peace. He explained how people of different faiths believe different things, but each faith shares a belief in one creator despite all their differences. “People need to put aside our differences, at the heart of it, we share the same beliefs,” Kern said. This was the first interfaith breakfast for Rev. Matthew Every, the new pastor at First Christian Church and co-chair of the event. He said it was an incredible show of solidarity of how everyone can come together as a community and with compassion. Mojabeng Kamala, a member of the Bowling Green Human Relations Commission, said a lot can be gained by listening to others. “There’s something very necessary about what went on today. The message does not get old. It continues and needs to be told,” she said. 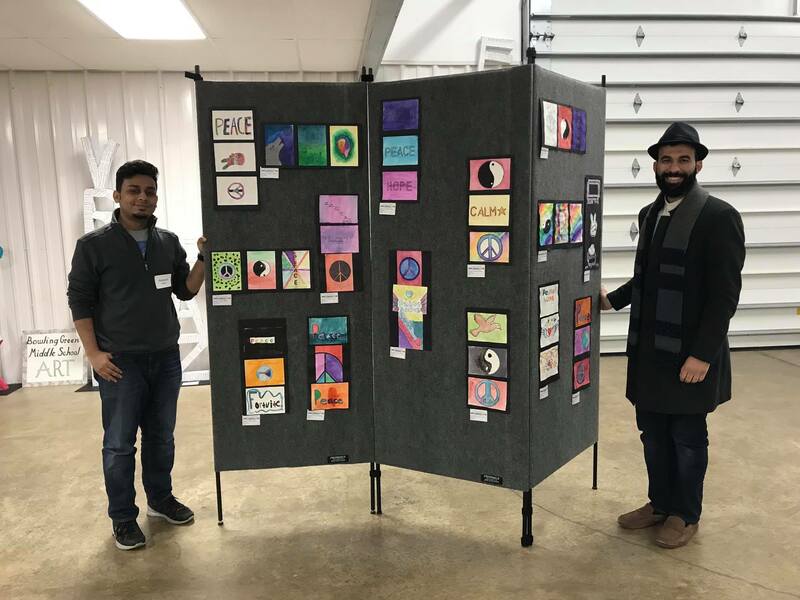 This year’s program featured a video of six people of different faiths, talking about what their faith means to them and if they’ve experienced a negative interaction because of faith or felt stereotyped because of it. The panelists were also asked to talk about inclusion and diversity as it relates to faith and what it looks like to live in an inclusive community. Dr. Simon Morgan-Russell, a Buddhist, talked about how faith and belief systems are different, but the same. He compared it to fingers on one hand, representing one religion and the other hand representing a different faith. They are separate, but similar and work together. Rachel Feldman, representing Judaism, said there are commonalities in all religions. 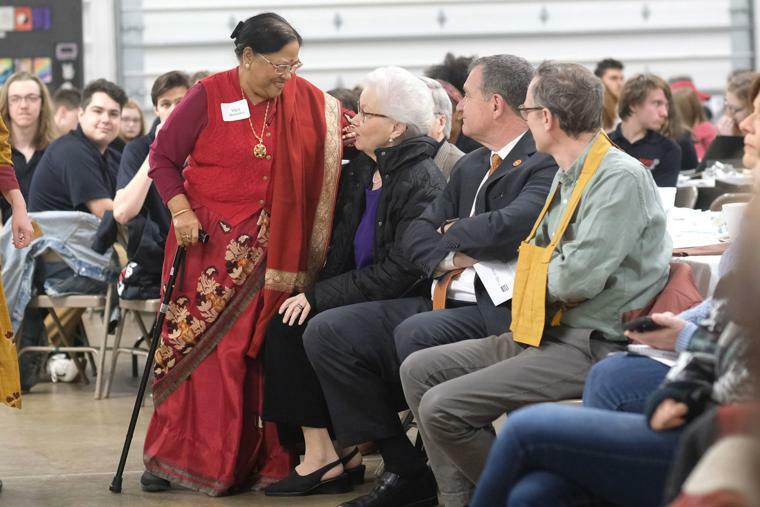 “My faith talks about the golden rule and the principles are universal in all religions,” she said. After the videos, there was a live panel that discussed the video and their reactions. Joe Jacoby, also representing Judaism, said it can be easy to hate someone and discriminate if you don’t take time to learn someone’s story. 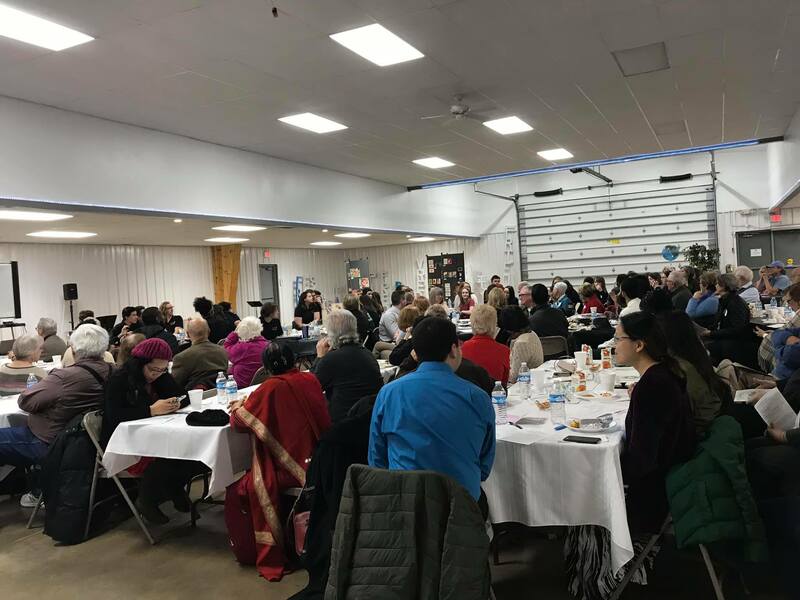 Imam Farooq Aboelzahab, with the Islamic Society of Northwest Ohio, said this breakfast showed progress and the work ahead. “I appreciate this forum. There is a lot to be done,” he said. “God greets everyone and asks the same thing of each of us, to respect, be understanding and be good to each other. You are good because of who you are and you need to be faithful to who you are. Aboelzahab urged the crowd of more than 200 to read more about all different subjects, to learn and gain a respect of other points of view. Emily Dunipace, co-chair of Not In Our Town-Bowling Green, closed the ceremony. “I am walking away from this with a wonderful sense of hope. Your presence here is a call to me to make a difference,” she said. “Our energy here pours out to spell U-N-I-T-Y.